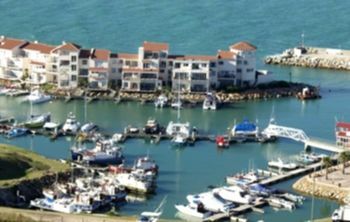 St Francis Bay is a working fishing port and holiday destination in the Cacadu district of South Africa. 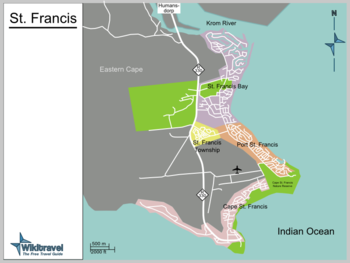 St Francis  consists of three closely related, but distinct areas: St Francis Bay, Port St Francis and Cape St Francis. Not far from Jeffreys Bay lies the charming town of St Francis Bay. It is known for its endemic white houses with either black tile or thatch roofs blending together with the Sardinian-style red tile roofs. Approximately half of the town is built around the largest web of manmade canals and waterways in Africa. Adjacent to St Francis Bay is the pastoral fishing village of Cape St Francis with its outstanding beach and historic Seal Point Lighthouse while Port St Francis is the harbour. Visit Oyster Bay, a town that caters for those who enjoy quiet time and relaxation. 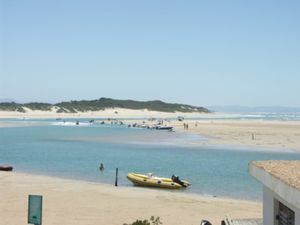 Explore this district with its beautiful beaches, rich wildlife and adventures - surf the waves or swim with dolphins, there is something for everyone in this picturesque and breathtaking Jeffreys Bay area. 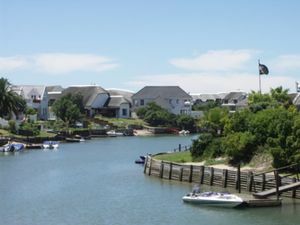 St Francis Bay is a beach village of Cape Dutch style thatched roof houses build on canals in the Kromme River estuary. Port St Francis is a working fishing port for the squid/calamari industry. Also home to Station 21 of the national Sea Rescue Institute. 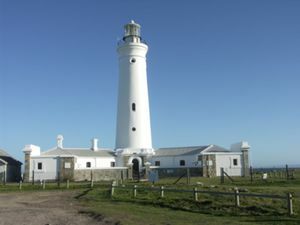 Cape St Francis is home to a working lighthouse build in 1878. Surrounded by beautiful beaches and good surfing spots. Take the Humansdorp exit from the N2. Drive through Humansdorp and follow the R330 to St Francis. St Francis is just 76km from Port Elizabeth. You could also drive in from Durban (901km) or Cape Town (690km). There are two airports located in close proximity to St Francis. The closest is the Port Elizabeth airport which is 76km away. The East London airport is 356km away. There are regular flights from Johannesburg, Cape Town, Durban and other South African destinations to the airports in Port Elizabeth and East London. All major South African coach companies offer regular schedules to and from destinations like Addo. Humansdorp ☎ +27 (0)42 295-1361. The pleasant town of Humansdorp can be found en route to Plettenburg Bay from Port Elizabeth. The Kouga Cultural Centre is a famous attraction due to its symbolism and portrayal of the African Renaissance. Jeffreys Bay ☎ +27 (0)42 293-2923, . The home of the perfect wave - situated between Port Elizabeth and the Garden Route is Jeffrey´s Bay, the soul of surfing in SA with a terrain of aloes, perfect points & classic reefs. Once a year the best surfers in the world get together for the annual Billabong Pro surfing competition at Supertubes. 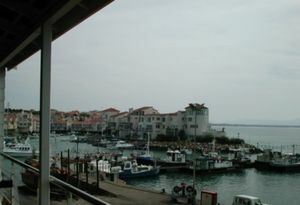 The canals in St Francis Bay. The river mouth and beaches in St Francis Bay. There are a number of small nature reserves in the area, which provide the perfect backdrop for magnificant hiking and hore riding trails in the area. For contact details for food and groceries, vehicles, home services, liquor, medical practitioners, nurseries & garden services, pharmacy, professional, cleaning, legal services, photography, security, timber decks, housing, health and beauty call the local or international telephone directory. This page was last edited on 18 July 2015, at 15:46.